the expendables. If you have a lot, it is convenient something, so recommend buying a box. Storage is also easy. This review is about item#5840572. 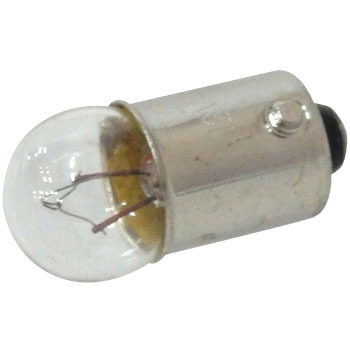 It is a valve used for the old car meter panel and tail lamp, although there is 5W, it was quite saved, although 4W could not be obtained quite easily. This review is about item#5840737. Since it is a standard item, it is natural that there is no problem in terms of usage in accordance with the application, but it is safe to say that it is made of Stanley. This review is about item#5840633. This review is about item#5840703. It is useful for maintenance of a motorcycle more than 50 years ago. It is truly appreciated that it will arrive on the next day of ordering. This review is about item#5840563. We do not put old light bulbs on the outside. This is a good sake. First of all, we correspond quickly and we are satisfied with the price cheaply. I am satisfied that the price is easy. This review is about item#05840572. This review is about item#05840703. This review is about item#05840563. I currently own a car over 40 years ago. The difference with the current car is the brightness of the light The headlights become LEDs, the light like the moonlight is pale and sharp as expected. For my car's meter it's dark enough to think that the ball is burning out. Although there is a light and dark volume knob, it should have been not dark here until a new car. So we picked up the maintenance manual at that time and examined the type and number of meter balls and ordered. It seems that it got a bit brighter with a sense of freshness and satisfaction by replacing it with a new one that does not match the current car. Quality is not a problem at all. I think that it will become easier to buy more as the price becomes cheaper. This review is about item#05840642. It was good at cheap price. This review is about item#05840633. It said it was small and cute. This review is about item#05840737. It can be used without any problem.